different kind of energy to the business table. That’s why the focus of The NY Brand Lab is dedicated to transformational branding and mindful storytelling that will deeply resonate with people. What’s more, you can expect to walk away recognizing your own commercial magic. You can not do business as usual. Not any more. In this New Digital Era, your best competitive advantage is being transparent and communicating that you are who you say you are. Keeping your clients at arm’s length or keeping a low profile? No longer an option. With increasing uncertainty in our hyper-connected world, the art of creating an engaging & irresistible business brand – with a high emotional quotient and a reputation to go along with it – has never been more critical. It’s the best strategy for standing out in the marketplace. The NY Brand Lab is a chance to tear yourself away from the pings of a digitally overwhelming routine and give yourself the time to tap back in to your true brand-self. This is about mindfully reinventing your business, your brand and messaging so it’s more authentic and irresistible. This is a time to recognize who you are — so others can. People will feel the difference…and that’s the moment they know they want to work with you or buy from you. Ka Ching! If you’re looking to find your spot on the 21C new brand landscape, this could be the right workshop for you. In these roll-up-your-sleeves workshops, Van challenges you to see your brand through a different lens that not only transforms your mindset, it boosts your ability to develop a values-congruent business that reinforces you are who you say you are. Van can switch from multi-national to entrepreneur mindsets in a flash – across sectors, channels and audiences but with a brand’s own story running fast through each. She has the instinct of a true marketer that shapes every story right – and a manner built on trust and rapport to bring it all together. I think any brand will be the better for meeting her. • Business Brand Strategies: How to manage your reputation so you show up like you mean it; plus how trends in neuroscience and what makes your customer’s brain tick help you bring more meaning & purpose to your business. • Brand Marketing: Why brands fail online (and others nail it): How to amp up your empathy, strengthen your relationship with your audience and create more trust so they’ll be your raving fans forever. • 21C Business Trends: How to wear the hat of the Business Brand Provocateur, challenge the status quo and keep you audience leaning in closer – hearts beating, eyes gleaming. This is about real relationship building. 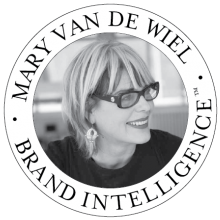 • Emotional Intelligence: When’s the last time you checked your brand pulse? Find out how to create messaging that hits home and resonates deeply with your audience. We focus on the why behind creating a brand with more meaning (i.e. why you do what you do & why it matters) — and the how to inspire, connect & motivate your audience with a message that hits home. • Brand Behavior & Influence: How to monitor the kind of messaging your brand is communicating 24/7/. Reality check: Your brand is sending out subliminal messages and invisible clues whether you know it or not. We turn the lens inward on what makes you tick – your values set, emotions, goals – to tell your authentic brand story. Special Bonus: The minute you book your seat at the NY Brand Lab, you get to sit on the hot seat for Van’s signature Brand Audit where, with a laser-sharp focus, she spots, identifies and interprets the invisible clues embedded in your brand (that are shooting you in the foot) – and then transforms them into more irresistible, heart-felt messaging. My life can be divided into two phases: before and after meeting Van at the NY Brand Lab. Van helped me gain clarity around my business and my brand that I hadn’t dreamed possible. • A look at what’s really going on beneath the surface of your brand and business. We pull back the layers, go deeper and re-imagine your brand so it goes to work for you 24/7. • The chance to revisit your values so they resonate, and the time to reimagine and rewrite your brand story so people know exactly who you are and what you stand for. • A supportive, sophisticated space to plot, play, collaborate, connect and zing with like-minded visionaries. We look under the hood, identify your blind spots, too. (FYI This is certainly about interaction, connection and getting useful feedback from others, too.) You walk away transformed by the possibilities. 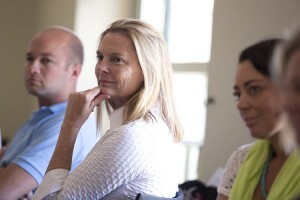 Organizations regularly invite The NY Brand Lab into the corporate arena to work with their executive teams. We look at what you need, explore the option and then plan a program to best suit your team. Recent corporate gigs have included Viacom, NY, ComCast Cable, Philadelphia, ABC Innovation, Sydney, AMP, Sydney, Time Warner Cable, LA and many more. I’m a big Van fan. I learned a new, fresh and exciting approach to defining who I am, what’s important to me and how to say it in a way that will resonate, and matter, to my audience. Van’s Brand Lab teaches you how to be bold and creative, yet professional, when marketing your brand. What’s more, it opened my eyes to social media and personal online marketing techniques. Look forward to hearing from you, or send me your contact details and I’ll be in touch!